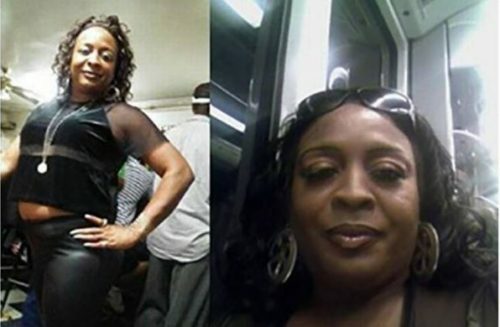 Transgender woman Sherrell Faulkner died on Tuesday of injuries sustained during a Nov. 30 assault in Charlotte, North Carolina. This death makes the 11th transgender person to die as a result of violence in the United States in 2017. Faulkner, 46, was discovered beside a dumpster and in what is generally considered an LGBTQ-friendly part of the city. In fact, according to the census, it is the gayest area in all of both North and South Carolina. Detectives were notified of the death by the Mecklenburg County Medical Examiner on Wednesday, reports local NBC affiliate WCNC, which happens to have been the International Day Against Homophobia, Transphobia, and Biphobia. At the time of the attack, North Carolina’s anti-LGBTQ law House Bill 2 (HB2), requiring transgender people to use bathrooms matching the gender on their birth certificates and nullifying non-discrimination ordinances passed by cities in the state, was still on the books. That law has since been replaced by House Bill 142 (HB142), which still prohibits LGBTQ people from achieving full equality. Anyone with information is asked to call 704-432-TIPS, Crime Stoppers at 704-334-1600, or visit the Crime Stoppers mobile app website.